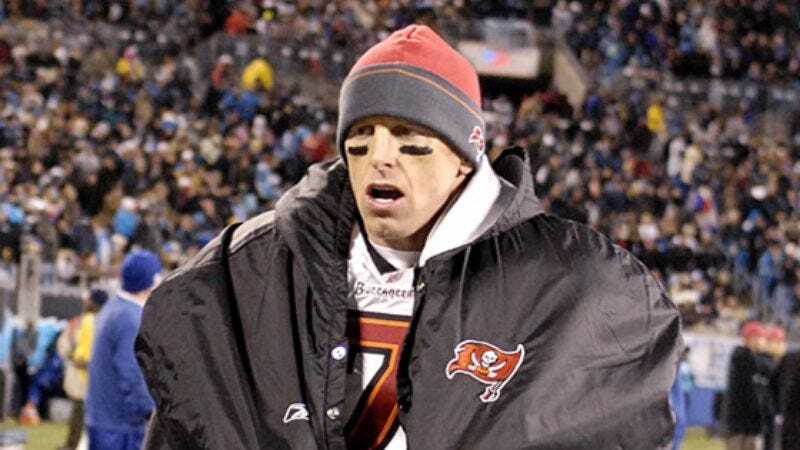 TAMPA BAY, FL—Shortly after ending a two-year relationship with Jeff Garcia Monday, the Buccaneers front office notified its former quarterback that no NFL organization had in fact ever wanted or needed the 38-year-old. "It was hard to see that look on his face, but he needed to learn that no team—not even the Bears—could imagine a future with him," said owner Malcolm Glazer. "We were only stuck with Jeff for this long because nobody better was available." Glazer, who said the decision to make a clean break came after consideration of Garcia's arm strength, height, freckles, and male pattern baldness, admitted the Buccaneers only pursued the quarterback to see if it made other free agents interested in the team.